Rodrigo Solorzano contacted me recently to introduce Poligon, a Kickstarter project developed by himself and Matthew White who met as students at the Royal College of Art in London. You might wonder why I've chosen to feature this project on All Things Paper because as cool as the metal sculptures are, they're very definitely not made of paper. The answer is simple... the project came about due to Rodrigo's interest in folding paper. 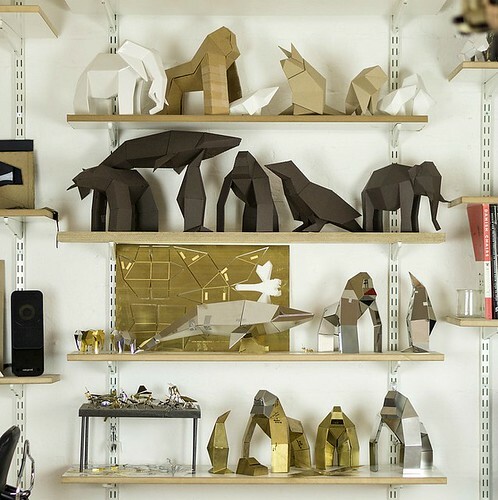 Previously he had created a series of paper and cardboard toys along with large-scale sculpture inspired by folding, but it wasn't until Rodrigo and Matthew collaborated that the Poligon-translation of folded paper objects into metal sculpture began. 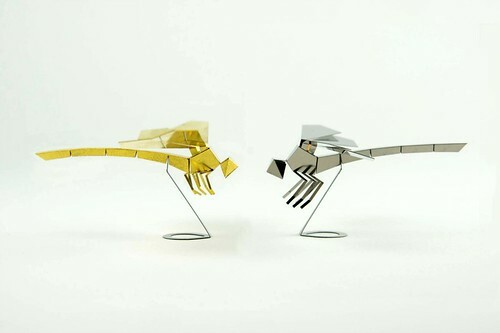 Matthew's work as a developer of folded metal etching products led to new ideas for creating the range of foldable sculptures. Each one arrives in flat, sheet form and allows the recipient to join in the creative process. 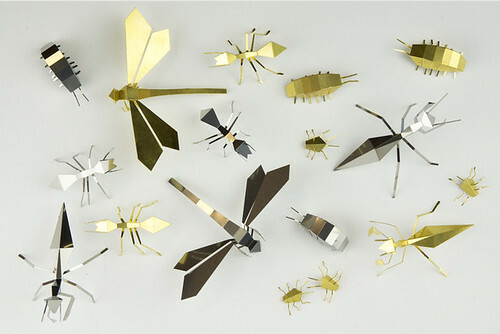 The larger animals are folded by hand and an included tool is used to crease the small insects. 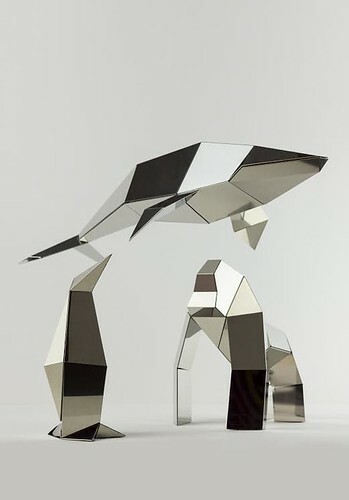 Because metal is able to self-support, the sculptures don't require tabs as a similarly shaped paper sculpture would. Magnets hold the large animal components in place. Printed instructions and online videos are provided for each sculpture. There is a range of funding options beginning with a variety of insects - these are ready to be mailed out prior to Christmas. The penguin, gorilla, and whale are nearly completed, but still require a bit of tweaking once the project is funded. The small Asian Elephant is a new type of design... Rodrigo and Matthew call it a hybrid because of the differing ways the insects and larger sculpture pieces are made. For each Asian Elephant that is backed, one will be donated to Elephant Family, the UK's leading charity in support of the endangered Asian Elephant. The organization will be able to do with as them as it wishes to help the elephants. Poligon has handily surpassed its Kickstarter goal, but that doesn't mean you can't get in on the action... there are eleven days to go before it ends. Poligon is also on Facebook. 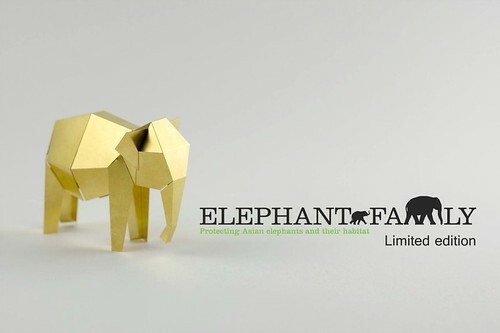 They all look like folded paper, Love the folded elephant!